Jeffrey Alan Combs is 5' 7" (1.7 m) and was born on September 9, 1954 in Oxnard, California, USA. He is an American actor that is known for his horror films and has acted in over 120 movies. His first horror movie role was Frightmare in 1983. He grew up in Lampoc, California with younger and older siblings. He graduated in 1972 from Lompoc High School in Lompoc, California. He went to Pacific Conservatory of the Performing Arts in Santa Maria. He then attended the Professional Actor's Training Program at the University of Washington School of Drama in Seattle and graduated. Some of the regional theaters that Jeffrey spent about four years performing at are the California Shakespearean Festival, South Coast Repertory in Costa Mesa,Old Globe Theatre in San Diego, Arizona Theatre Company in Tucson, and Mark Taper Forum in Los Angeles. He moved with his family to live Los Angeles in 1980. 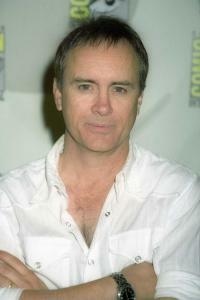 Jeffrey Combs is best known for playing Herbert West in the cult horror film Re-Animator (1985). Re-Animator is based on H.P. Lovecraft's novel. Fan of writer H.P. Lovecraft named Jeffrey "the first Lovecraftian actor" because he has starred in five movies that are based on H.P. Lovecraft stories. Jeffrey and Vaughn Armstrong are the only two actors that play three different characters on "Star Trek" season - Star Trek: Deep Space Nine (1993) Season 6. Jeffrey and Brian Markinson are the only two actors to play two different and completely unrelated characters in one episode of "Star Trek." Jeffrey played Weyoun and Liquidator Brunt in the Star Trek: Deep Space Nine (1993) Season 7 episode "The Dogs of War." He is also the only actor to appear in both House on Haunted Hill (1999) and Return to House on Haunted Hill (2007). Some other movies that Jeffrey are famous for are From Beyond (1986), Bride of Re-Animator (1989), The Pit and the Pendulum (1991), The Frighteners (1996), I Still Know What You Did Last Summer (1998) and House on Haunted Hill (1999). Jeffrey performed in July 2009 at The Steve Allen Theater in Hollywood, CA. as Edgar Allan Poe in a theatrical show titled Nevermore...an Evening with Edgar Allan Poe.